Your privacy on internet / web is very important for you. Most internet users want their information deleted from internet or stored very privately. If you are a Google Chrome browser users, you can improve your web privacy using Chrome Incognito. When browsing using Chrome Incognito, your browser history or search history will not be saved. Other traces, like cookies will also be deleted from your computer after you close the incognito window. All Chrome extensions are also disabled for incognito windows. However, files you download or bookmarks you create will be preserved. 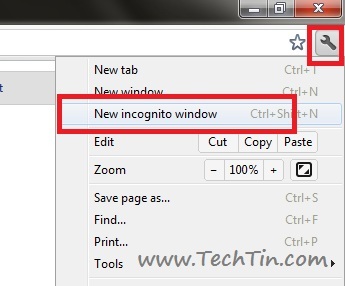 You can use keyboard shortcut Ctrl + Shift + N to open a Chrome Incognito windows. Microsoft Internet Explorer (IE) already has such feature called InPrivate Browsing.